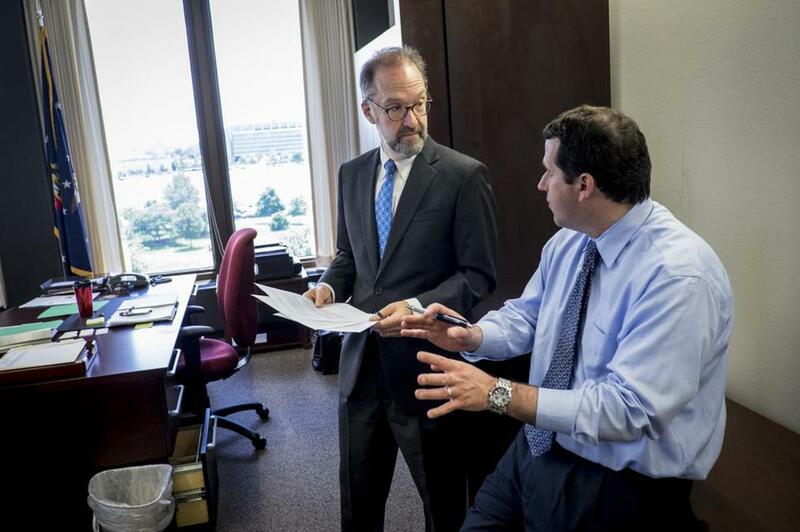 David Weil (left), the former head of the Wage and Hour Division at the Department of Labor, has been named the dean of the Heller School for Social Policy and Management at Brandeis University. Fiat Chrysler Automobiles, one of the world’s biggest carmakers, said on Thursday that it is in talks with the US Department of Justice to settle an investigation into diesel emissions cheating. The announcement came as an academic study found evidence the company illegally used software to evade emissions rules, piling pressure on the automaker at a time when it is suffering from meager profitability. The new study adds to evidence that the company flouted the rules on diesel emissions, much like the German carmaker Volkswagen, which has been hit with billions of dollars in settlements and fines, and seen several executives investigated or charged. Though Fiat Chrysler’s financial hit is unlikely to be as costly as Volkswagen’s, the emissions cheating, if proven, could still be expensive.